This episode of the Dr. Momma Says podcast intends to discuss some of the reasons why a stuffy nose in a newborn baby may be life-threatening. Newborn babies have irregular breathing patterns for a variety of reasons and parents are often concerned about “noisy breathing”. These breathing problems can occur in many different areas of the airway but the nose is a common location. Although nasal congestion is a common problem for people of all ages, newborn nasal congestion may be life-threatening. Nasal congestion has different degrees but the most severe level of congestion is an obstruction. So I could title this post newborn nasal obstruction but that just sounds ugly! So let’s stick with congestion and understand that the severe and life-threatening episodes are when there is near complete obstruction. Why do newborns have more trouble breathing? As I said, there are many areas in the respiratory tract that can lead to trouble breathing. Infants have several things that can all work together to make it harder to breathe. When you add all these features together, noisy breathing is common. Physicians look for more symptoms besides noise to determine if an evaluation is normal. For instance, the type of noise heard gives a big clue about where the blockage is. Each part of the airway can have a separate discussion but for today, we will focus on the causes of newborn nasal congestion that can lead to severe respiratory distress. What are the types of problems that can cause newborn nasal congestion? 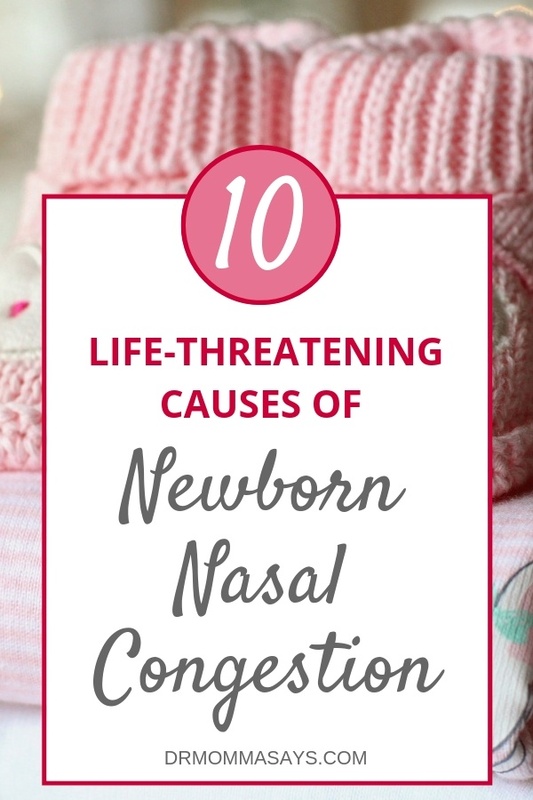 Newborn nasal obstruction symptoms can range from mildly irritating to life-threatening. Sometimes they are not found to be significant for weeks or months because baby has trouble eating and breathing and slowly has poor weight gain and failure to thrive. When physicians become concerned that the newborn nasal congestion is causing significant problems, problems in the above categories are considered. How do you manage a stuffy nose in a newborn? As mentioned, infants breathe out of the nose more than their mouth until they are 3-4 months old. Mouthbreathing tends to be learned function. I have found that many of the infants I evaluate are obligate nasal breathers, meaning they do not open their mouths to bypass an obstruction…unless they are crying! So constantly crying newborns may be telling us that they are having trouble breathing. When the nose is congested, they just struggle to breathe and this becomes life-threatening! Therefore, it is important to keep infant noses clean. Infants under the age of 6 months who are unable to mouth breathe may have significant breathing problems when they develop a viral illness or the common cold. I have discussed the benefits of saline nasal washes to help flush out the mucus, but suctioning the nose is also helpful. I do not recommend suctioning when no mucus is present because this can indicate there is swelling or another reason for the nasal congestion. 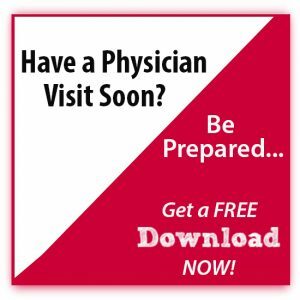 When the problem is more severe than the common cold, physicians will consider one the more serious problems. MOST problems with nasal congestion are not serious or severe. 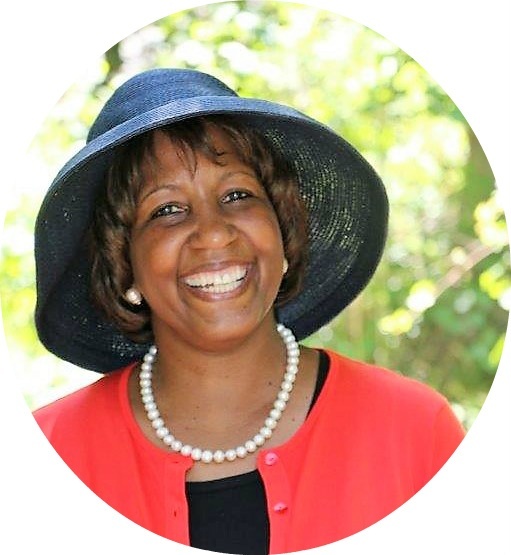 Many parents are concerned that they are so I want to address what severe problems parents look for. Each of these problems has a different set of symptoms and treatments. Physicians will use the history of physical exam to determine what steps to do next. Often, this involves seeing an ENT physician who will perform a nasal endoscopy to evaluate the inside of the nose. CT scans and MRI scans are also useful so some problems. Because there are many details associated with each problem, you can get more information by checking out out this detailed post. But I recommend that you listen to the audio associated with these show notes. Birth trauma is no joke! Gastric acid reflux is common in babies who sometimes spit up through their noses! Ewwww. Medicine is not an exact science, and physicians train for many years to be able to sort out what type of problem is present. The severe problems will be diagnosed immediately after birth; however, when symptoms occur a few weeks later, your pediatrician or family physician will need to screen your child for severe problems. If your child has ongoing nasal congestion and trouble breathing, this could impact eating and growth. Be sure to discuss this with your physician. You must make sure you understand your healthcare provider’s credentials because some of these problems require more experience to diagnose and manage; all stuffy noses in babies are not simple colds!